This tree, more commonly known as a Silver Birch, is beloved for its elegant appearance. 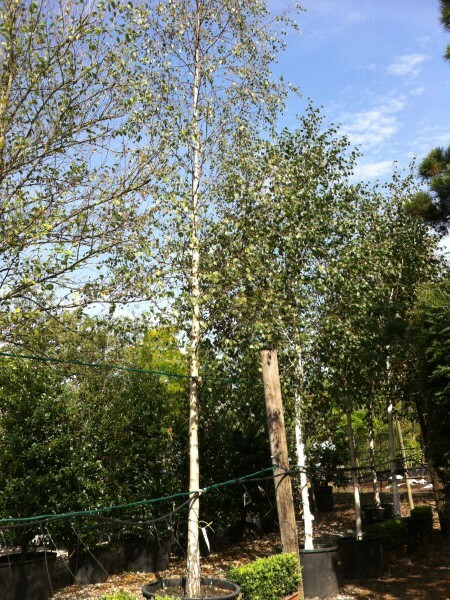 As a young tree it has a distinctive white bark with darker lines and shapes decorating the trunk. Its main branches are long and often grow horizontally, creating a semi weeping habit. The Pendula produces light green foliage that shoots early and becomes orange-yellow in the autumn. In spring, it yields yellow catkins, around 5 cm in length. This is a hardy tree which is frost resistant and regularly the first to grow back on bare or damaged land.